Severe storms and natural disasters are on the rise. When they meet our outdated electric power infrastructure, the result is often widespread power outages. The time to prepare is before severe weather or disasters hit. Backup power is one way to be ready, to help protect yourself and your family or business when the conditions turn particularly nasty. 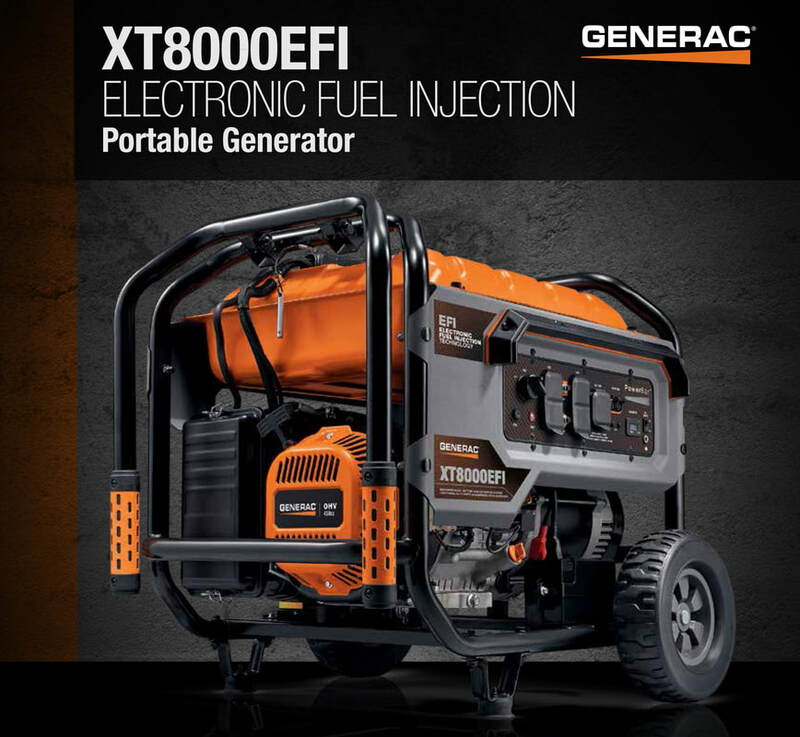 If a standby system is not what you are looking for due to space or budget, consider the XT8000EFI portable generator from Generac. It makes an ideal choice for backing up the power to your home in the event of an outage. It’s the most powerful portable generator that Generac offers that meets California compliance laws. Have You Scheduled Your Annual Maintenance? Your Generac automatic standby generator keeps your home and family safe and secure. All equipment performs best with routine maintenance and your generator will too. We are an authorized Generac Service Dealer. From the school or church to the local business to the radio tower on the mountain, Generac is the brand trusted across a variety of businesses and industries for reliable standby power. Contact us for a free quote and see how Generac can help you meet your standby power needs. If you'd like more information on GENERAC products CLICK HERE to download their customer brochure. CLICK HERE to view images of recent projects.